« Kate Middleton – Will I or won’t I? Who do you need to be like? To succeed in business who do you need to be more like? Isn’t that a huge question? 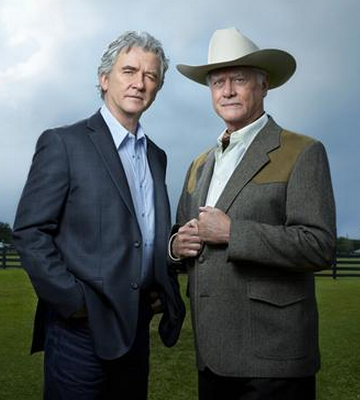 Can you succeed by being decent, honest, fair, considerate, principled and moral just like the Bobby Ewing character in Dallas? OR – do you have to be ruthless, cunning, deceitful, back stabbing just like his brother JR ? Have a think about it and give me your honest answer .. what do you genuinely believe? I’ll tell you what I think later! This entry was posted on September 21, 2012 at 8:24 am and is filed under Business Planning, Business Start Ups, Personal development. You can follow any responses to this entry through the RSS 2.0 feed. You can leave a response, or trackback from your own site. They’d do your head in !! Not if you also hired Ms. Ellie. You need to be more like Sue Ellen .. leave the boys fight it out and head to the pub. she hasn’t aged too well – bless her. Bad call by Newbridge !! Depends what business you’re in! Maybe you need a bit of fusion between huggy Bobby and thuggy JR? A Fuzion might just work ! !